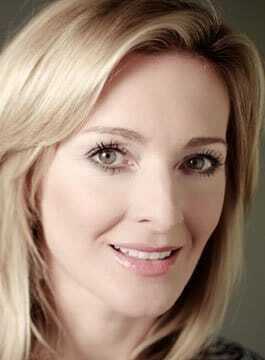 Gabby Logan is a BBC Sports Presenter, Conference Host, Awards Presenter and Guest Speaker. A law graduate from Durham University, Gabby Logan’s broadcasting career began in radio at Metro FM. In the late 1980s, Gabby gained 8th place overall at the Commonwealth Games, and overall silver at the British Championships, as part of the Great Britain Rhythmic Gymnastic Team. Gabby began her broadcasting career in radio in 1992 and joined Sky Sports in 1996, where she quickly established herself as a football presenter. First joining ITV in 1998 to front On The Ball, during her nine years at the channel Gabby’s repertoire expanded and her presenting credits include the World Cup, Champions League and the Premiership, as well as the Boat Race and sports news reporting. In 2004 she co-hosted Sport Relief with Gary Lineker for the BBC, before joining the corporation in 2007. As a BBC broadcaster, Gabby has presented the Six Nations and Autumn Rugby Internationals, Athletics, The One Show, Inspire: The Olympic Journey, Final Score, Inside Sport, Women’s Football, The World Swimming Championships and Match of the Day to become one of the network’s most integral faces. She was a key member of the BBC’s presenting team for the London 2012 Olympics, the 2014 FIFA World Cup in Brazil, the Commonwealth Games in Glasgow and the 2016 Rio Olympics. In 2008 Gabby started presenting a weekly Sunday morning show on Radio 5 Live in 2008. This was followed by a daily weekday show ‘The Gabby Logan Show’ until 2011. She also hosted a live daily show ‘Live with Gabby’ on Channel 5. In 2013 Gabby presented ‘I Love My Country’, a prime time patriotic quiz show for BBC1 along with the celebrity diving show Splash! on ITV with Vernon Kay and Tom Daley. A prolific writer, she’s been a columnist for The Times and has previously written for the Sunday Mirror, Independent and Yorkshire Post. Gabby Logan is available for conference presenting, awards hosting and speaking engagements. How did Gabby make the transition from a Commonwealth Games Rhythmic Gymnast to ITV’s and BBC Principal Football Presenter? Just how difficult was it making her way up the broadcast ladder as a woman in a man’s world? Gabby talks of her experiences from a lifetime spent in a male-dominated sporting arena to the motivation needed to reach the top of her chosen profession and then to stay there, the teamwork required to be able to present a programme such as the Champions League Final and the leadership skills she uses to make everything run smoothly in front of the cameras.